Elmdale Public School’s annual BOOKFEST!!! Browse BookFest on Thursday, February 21st and Friday, February 22nd. Come early on Thursday for the best selection. Come back Friday for surprise sales and to pick up the books you forgot to pick up the day before! HOW: Access the gym from Java Street. There will be signs indicating where to go. DO you have books to donate? Want to help? Pedestrian safety issue on Ravenhill Ave. 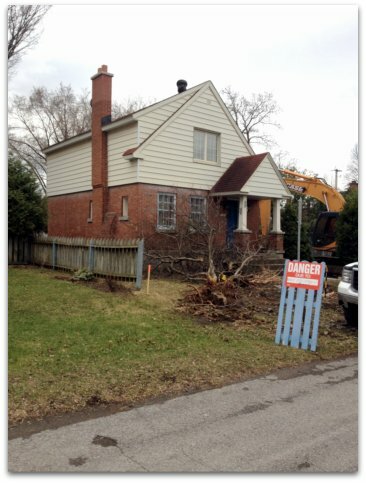 Please be aware that the demolition of an existing home and construction of a new home begins today March 29th on Ravenhill Avenue at the bottom of the stairs. For those walking to school along this route, extra caution should be exercised particularly in the next few weeks. The construction company is taken every safety precaution and they’re aware this is a route children take to school and they will try not to start work before 8:15 am. If you’re a member of this community you may have already heard what has been happening at Broadview Public School. You can stay informed on this important issue by following the Build a Better Broadview group on Facebook, and on Twitter. Their website is here too. The WCA supports the actions of Build a Better Broadview as we believe that schools should be a healthy environment for learning, and we look forward to seeing some positive changes from the provincial government and the OCDSB as we move forward on this issue.